Join us at our HQ at El Rancho for this year’s series of free classes and programs (donations are appreciated). Seating is limited; register by clicking on the links below. 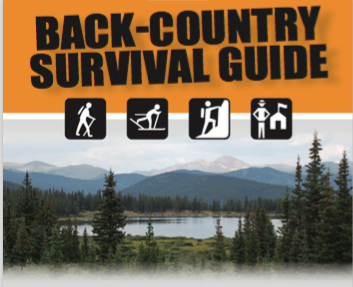 (4) February 9, March 3, 9 & 23 – 8:00 AM- 12:00 PM – Backcountry navigation – learn to use a map and compass. – Limited to 25. March 23, 7:00-9:00 PM – Ask a Rescuer—Almost Anything! April 13, 8:00 AM to 12:00 PM – In-depth Navigation with GPS. April 23, 7:00-9:00 PM – Spring and Summer Avalanches: Strategic Decisions for Peak Baggers. November 7, 7:00-9:00 PM – Winter Fourteener Climbing: Lessons Learned from the Front Lines of Mountain Rescue! TBA – What’s in Your Pack? An interactive session about The 10 Essentials and other goodies we find in YOUR pack. Or don’t find in your pack! Please park in RTD’s El Rancho Park n’ Ride across the street or the lower, dirt lot – DO NOT park on Alpine’s or Foothill Fire Department’s asphalt parking lots or driveways. Thank you. The training calendar below shows Wednesday trainings, which are open to the public, unless explicitly stated otherwise. Weekend events are for members only unless explicitly stated otherwise. The PSAR & Events calendar shows our Preventive SAR education programs and events/meetings (public and private) at the “shack,” our HQ. Toggle between the two with the tiny arrow at top right of calendar.